In September 2006, I had just celebrated my 18th birthday when I first started to experience the symptoms of rheumatoid arthritis. What this means is that my own body is attacking itself, resulting in painful, swollen joints. It affects every single joint in my body – from my jaw down to my baby toe. It makes it extremely difficult and painful to move even an inch, let alone walk and do daily activities. It also makes my joints look extremely deformed from all of the swelling. I’m not the youngest person to have rheumatoid arthritis by far; however, people do see arthritis as an older person’s problem. I had just started my first year of college. I was admitted into hospital due to the pain that I was in. They couldn’t understand what was wrong with me. I was given drugs to ease the symptoms and sent home after a few weeks. I was referred to specialists who did many tests and procedures to find out what was wrong. They could tell me that I had an autoimmune illness, but not which one. This was because the standard test for rheumatoid arthritis was negative. Nowadays, this test plays just one part in diagnosing a patient with RA, but back then it was a very black and white process. It wasn’t until a few years later that I was finally given the diagnosis of rheumatoid arthritis. Due to the severity of the symptoms of my rheumatoid arthritis such as painful, swollen joints and a never-ending fatigue, I missed out a lot of my first year of college. I had to repeat many exams and didn’t do as well as I wanted to. The stress of managing my new condition alongside the pressures of college life eventually took its toll on me. By the end of the second year I was burned out, both mentally and physically. I had numerous admissions to hospital and my course work was paying the price. It was then that I took the decision to leave college. There wasn’t much known then about the help that could be offered to students with disabilities. Also, I don’t think at that point I would have allowed myself to be called a ‘person with a disability’. At this point I noticed the effect that having a chronic illness had on my relationships with friends and family. People found it hard to understand that I was in pain all of the time. They couldn’t understand how I was still tired after a full night’s sleep. As a young woman in her early 20s, I couldn’t go out with my friends every weekend. I couldn’t spend hours dancing in heels, no matter how much I wanted to. Friends started drifting away, and even family to a certain extent. This had a huge impact on my mental health and I began feeling very down. We spend so many hours and days on our own, in pain and tired that we lose sight of who we really are. We become a list of symptoms, medication rituals and Epsom salt baths that that’s all we are anymore. We either are abandoned by friends and family who don’t understand and don’t want to say the wrong thing, or we hide ourselves away, not wanting to show our true selves. Finding the right medication is vital for dealing with RA. However this can be very difficult. I became so down and discouraged because the arthritis didn’t seem to be easing. It was as bad as ever. So I stopped taking my medication. I felt that it wasn’t working but was just making me feel worse. I soon copped on to myself and went back on my medication but because of this I have some irreversible damage. The medication might not make the arthritis better, but stopping it will definitely make it worse. I took some time off to de-stress and then started courses in my local area. This was much easier on me, as I did not have to travel. It also helped that I had started a Living Well with Arthritis course run by Arthritis Ireland, which helped me to come to terms with my illness. I was much more open with people about how I was feeling and more realistic with my day-to-day expectations. The course taught me invaluable lessons that I still use today. The group sessions ran once a week for a couple of hours, so not too strenuous. I learned that I was not alone in how I was feeling, both physically and mentally. I met people going through the same things as me, who I’m still friends with today. I learned coping mechanisms and how to get the most out of my rheumatology appointments. It also taught me the most important tool in dealing with my arthritis: acceptance. It’s been very difficult to come to terms with my arthritis, but now that I have it has made a huge difference to me. I still probably have more bad days than good; but it has taught me to really appreciate the good ones when they come. I’ve gained a new and improved outlook on life and I am far more compassionate and caring. I started a full-time sales job which was perfect for me at the time. It was in my hometown of Mullingar, so didn’t involve any travel and it was a desk job, so wasn’t too physically demanding. This worked out for a year or two, but again I burned myself out. I ended up having to be hospitalised and out of work for many weeks. Even after learning all of the techniques, I hadn’t listened to my body when it was telling me it was under too much pressure. Anyone with a chronic illness will tell you the devastating impact that stress can have on your illness. I now have a part-time office job which I love. My quality of life has improved drastically, and I don’t have the stress of a 39-hour week. I’ve been open with my boss and work colleagues about my illness and have been able to make changes to my desk area that have helped me greatly. I had my desk ergonomically corrected and have a plug-in radiator as I’m always cold! I applied for the disability allowance which subsidises my wages, and this helps me not worry too much about finances. Through counselling and working with Arthritis Ireland, I learned that closing myself off to friends and relationships wouldn’t help me in the long run. I learned to let certain people in and to let them help me. I now have a great relationship with my mam, some close friends and my husband. When I’m in a flare I can be very dependent on my husband and mam in particular, but they are amazing people and very selfless. It can be very hard having to be dependent on people for everyday needs that everyone takes for granted. Things like getting dressed, brushing your hair and even eating become painful ordeals. I try to remind the people who help me that I appreciate them as much as I can and make sure that we don’t have a carer type of relationship, especially with my husband. This can be hard work, but I think it’s so important. Finding the right medication is vital for dealing with RA. It took a long time to get the right combination for me, but now that they have, I just don’t know myself. I still get days of severe pain, swelling sometimes and am not able to do a lot without fatigue, but I’m so different to what I was a few years ago that I don’t even recognise myself sometimes. Another thing that has really helped me over the years is helping other people. There’s not much I could do for myself when I was in a lot of pain, but I found that even the smallest bit of volunteer work had a huge impact on my self-worth. It makes you feel good about yourself, shows that you’re not incapable and realistically shows you that there are people worse off than you, which is really important to keep sight of. I am now about to embark on a whole new chapter of my life, and one that I wasn’t sure I’d ever get to. I’m about to become a mother. It’s been a long and stressful journey to become pregnant – between having to plan to come off some medication to planning when I was most fertile; so it took us a few years to get to this point. However, I am having a typically ‘normal’ pregnancy so far and am so grateful for every week that passes and every kick I feel. I am considered high risk and attend the consultants in my local hospital but so far everything has been right on track. Aoife McCoy’s blog is part of the Living with Rheumatoid Arthritis campaign, which is supported by MSD Ireland. Our long glorious summer has finally come to an end and it’s very much back to school time. Whatever about the delights of preparing school lunches and ensuring that uniforms still fit, if your child has juvenile arthritis, there are a number of other things to bear in mind which will help ease the transition back to the classroom. Young people spend a lot of time writing in class, which can present challenges, especially if their hands are swollen or in pain. It’s not unusual either for them to experience fatigue or stiffness, which they may not always be able to explain to their teachers. We’ve gathered here some of our top tips, which you can read below. Ideas for how to get the kids up in time for school are sadly now within the remit of this post. If wrists or fingers are affected, this can cause problems with how our hands work. A child may have difficulty writing, managing tools or doing physical tasks. When a child’s joints are inflamed, or they are experiencing pain, they may need extra help with these tasks. At times, a child may write slower than their classmates and may need breaks to rest joints or extra time to complete tasks. Use fat/thicker pens, crayons or pencils that are easier to hold and grip. Pen/pencil shouldn’t be held too close to the nib/tip. If a child presses heavily on them, it can cause extra stress on the joints. An occupational therapist can work with a child to make this easier. Encourage art and crafts and scissors skills at home, this builds up strength in the hands. Take lots of breaks and avoid spending too long in the one position. It’s best for children to avoid leaning their head on their hands while writing. Photocopy long text that they need to use, this can be helpful when a child’s joints are sore. Using a lever arch folder underneath the top edge of the writing surface to give a slope for comfort will be beneficial in the short term. Ensure that the forearm is supported at all times. Typing can be used as an additional support instead of handwriting; it is especially beneficial for homework and essays. It’s important that students learn correct typing skills if using a laptop. Some children are entitled to use laptops during the school year if they cannot write at a reasonable speed. Note taking can be problematic and they are likely to need breaks often. If possible, providing access to a photocopier or providing notes on a USB is beneficial. Use a gel pen or soft lead (2B) mechanical pencil to reduce the stress on joints. Purchase pens or mechanical pencils with a non-slip textured barrel. Use pen grips on thin pens, only if you feel ok about using them. Use elastic bands to create a grip on pens or pencil. Change the grip on the pen frequently to distribute the forces to other fingers. Try holding it between the thumb, index and long finger instead of resting it on the index finger. Break every 20 minutes to do some stretches, neck and hand exercises. Most children will feel tired returning to school, but for children with JIA this can cause fatigue. Teachers can find it difficult to spot the signs of fatigue or pain in children; making teachers aware of signs will help them to support your child better. In younger children, this could be non-verbal clues such as facial expressions, e.g. a child rubbing a sore joint. Finding the correct balance between pushing a child and knowing when to take rest breaks is often difficult to gauge. Often, taking small breaks can help a child; this avoids pushing themselves too far to keep up with their classmates. If a child has a flare, it is a good idea to grade activities. For example, instead of doing three pages of a worksheet, they only do one. Also, it is important for a child to feel included by adapting activities. This will also boost self-esteem and help protect joints. Older children often tell us they do not want to be treated differently to others. If possible ensure children have access to hot/cold packs during the school day. Letting teachers know what works best for your child is really important. Explain to teachers that when a child is in pain they may have difficulty concentrating, smaller tasks may be appropriate. Movement breaks are essential because their posture changes, while also creating energy. Sitting for long periods of time is bad for most people, but for children with arthritis it can cause increased pain and stiffness in the joints. Encourage the teacher to make movement breaks part of the class schedule throughout the day. Here are some ideas for individual movement breaks: handing out notes, ring the bell, sending a message to the office, stretching at their desks and going to get the chalk. If a child is unable to do an activity look for an alternative way for them to do it. Keeping children involved with their classmates is crucial, ensuring that children are not isolated or made feel different. Ask teachers to practice pacing in school. Encourage the child to pace activities and slowly build up the amount of time they can do each week. Acknowledging their pain, many children feel that people do not believe they are in pain. Ask teachers to acknowledge their pain but then encourage participation, this helps the child feel validated. Ask the teacher to try to keep the child stimulated, so they do not focus on the pain. We’re in exam season, when the Junior Cert and Leaving Cert will dominate the lives of young people and their families across the country. This can be a stressful time in any household, but when someone lives with arthritis, it can make things a little more challenging. We’ve put together some tips and information which will hopefully help you in the next couple of weeks. You will also be able to read some first hand advice from Emily on how she survived the Leaving Cert. Keep talking and sharing with someone you trust about how things are for you during the exams! Staying up all night might seem like a great idea, but getting enough sleep is hugely important especially when you have arthritis. Not only will it help concentration levels but it will also help the body to recover. Eating well and having a good breakfast will help with energy levels and fatigue. Stay hydrated, drink lots of water and make sure to bring a bottle into the exam. We get dehydrated very easily when stressed and nervous! Get to the exam hall or room early. Not only will it allow you to get set up but it will make things a little less stressful. It might seem a little obvious, but try and test all your pens beforehand. Find a pen that is comfortable to use if you are writing the exam. Take stretch or movement breaks if you can or at least move your joints at the desk every 20 minutes to avoid cramps and excessive pain. Bring a supply of ice packs or heat packs into the exam hall if you can. When in exam mode it’s easy to forget about our routine, remembering to take medication is really important. Some fresh air and gentle exercise will do you the world of good, even if it is only a 10 or 20 minute gentle stroll. If you have exam supports, don’t be afraid to make the most of them and use them. Don’t forget that an unsuccessful exam is not the end of the world; you can try again, do better next time or take a different course, subject level, etc. If you are heading to third level education, you can make contact with us in Arthritis Ireland and we will be happy to let you know of available supports. My name is Emily, I’m 20 years old, I have juvenile psoriatic arthritis and fibromyalgia, and two years ago I did my Leaving Cert. It’s difficult to know where to start when it comes to things as big as the Leaving Cert year, but I guess I’ll start it off with a positive. I did it, thousands of other people did it, you can do it, I promise. Do your homework – how are you travelling? What sort of places will you visit? What type of accommodation will you be staying in? Choose the right suitcase and carry bag – decide whether a push type case or a pull case is best. Are the straps the correct size, for carrying or lifting? Make sure to bring all the medications you will require during your holiday. Bring contact information for your GP/consultant, in-date prescriptions and your health insurance information. Consider keeping all the required medications for each leg of your journey in your hand luggage. Maybe divide medications between bags, in case a bag is lost en route. Prior to travelling, inform the travel company that you will be travelling with prescribed medications. Ask if the travel company has any specific requirements relating to medications. Ensure you use an adequate cooler bag (test for temperature maintenance and length of cooling time prior to travelling) to transport medications which require being maintained at a specific temperature. Research a method of replacing medications at your holiday destination prior to the trip – the Pharmaceutical Society of Ireland can be contacted directly at info@psi.ie with queries relating to going abroad and sourcing medications in particular countries. Take into account advice from your GP/consultant regarding medications and sun sensitivity and suitable sun screens. If going by car, stop regularly to stretch and walk. If travelling by plane, train or bus, maybe request the aisle seat in order that it is possible to stand up often, to stretch and walk. Pick accommodation carefully – if required, make sure there is access to lifts, or perhaps request ground level accommodation. Consider the need for a refrigerator in order to keep medications at a specific temperature or to store snacks and drinks to be taken with medications. Take into account distances from accommodation to restaurants and leisure activities. Look for heated swimming pools. Carry a letter from your GP/consultant regarding any metal joint implants. Remember any aids which are required to make holiday time more enjoyable. Bring details of any specific travel insurance for arthritis. Remember to stay hydrated always. Most importantly have a wonderful holiday! Tie a piece of string to your zips so that during a flare these are much easier to pull up or down! You can hide the piece of string on the inside of your jacket/dress/jeans, and the extra bit of length will allow easier grip. 2. Less tearing and more cutting. This is one I used very early on before I even knew something was up. I noticed it was starting to get really difficult to get out of low chairs…or chairs of any kind really. So I started putting some cushions under me before I would sit down. It seriously aided my ability to get up off the couch on my own! For bed try and get a higher mattress or put one on top of the other to make getting out of bed all the easier! Shopping trips are one of the most daunting if you are sore in any way, all the walking followed by all the bags! It is much better to carry your shopping bags on your forearm and not within the crook of your elbow or with swollen or sore fingers. It may feel a little odd or uncomfortable at first, but it will certainly help. Also, do take breaks if shopping for a long time. When opening heavy doors try using your shoulder or forearms instead of your hands or wrists. It can make opening the door much easier and cause much less pain. Sitting in the one spot because it hurts to move may seem to make sense, but actually, you are just going to cause your joints to stiffen more. In work or even at home in front of the TV get up every 20 minutes or so. Try and walk around the room or stand and stretch. It’s good for your joints to believe it or not! 7. Cook enough to feed an army! Cook in batches, that way you are only cooking a couple of times a week and putting less stress on your joints. You can freeze the rest and have it during the week when you do not feel up to cooking. Also when filling heavy saucepans why not use a plastic cup and fill them up bit by bit. That way may seem slower, but it won’t hurt! Heat pads, especially wheat ones, are super helpful during a flare up. If you are already en-route and don’t have access to a heat pad, I would recommend popping into your local shop and grabbing a takeaway cup of tea or coffee. Even if you don’t drink it, hold your two hands around the cup, and the warmth will help ache your sore hands. If it is your knees at you, hold the cup between your knees. Combing your hair, brushing your teeth opening jars….these are things that we do every day more than once and are quite important. But they are a struggle most days for me. Use rubber bands or a damp washcloth or tea towel to help you get some traction and open jars much easier! For combing your hair and brushing your teeth if you are struggling to keep grip of the handle. Slit a tennis or ping pong ball and slide the handle of your brush inside. This allows you to have a much better grip and isn’t as painful to get these everyday routines done! For me, this has to be the one that is the most important life-hacks. Unfortunately, there are things that we are just not going to be able to do, or that we will certainly struggle with. There is no shame in asking for help. Pride can be a great thing, but it can also be a deadly sin don’t let the fact that you need help from time to time stop you achieving anything. It is something you have to accept and even embrace, let your partner carry the heavier bag, let your sister cut your steak or let your kids help with the chores. Out of the all the many tips I or any other person living with arthritis could give you I hope this is the one you truly get on board. Needing help does not make you weak or a nuisance or useless or any of the other things you have running through your head when you sit there having a full on debate with yourself about whether or not to just say ‘Actually would you mind…’ Most of the time you will find people are much happier to help than watching you struggle. Obviously, you want to have and maintain some independence, but no one got through life without a little help now and then. I hope these tips helped, what are your #ArthritisLifeHacks, I would love to know, so do share in the comments below or on any of Arthritis Ireland social media accounts. Mum-of-two Elaine Davis, from Cork, featured on the RTÉ Investigates programme on Monday night, sharing her experience of being on a hospital waiting list for a double-hip replacement. Arthritis affects one in five people in Ireland – approximately 915,000 people nationwide. There are over one hundred different types of arthritis, affecting people of all ages from babies and toddlers through to adulthood. 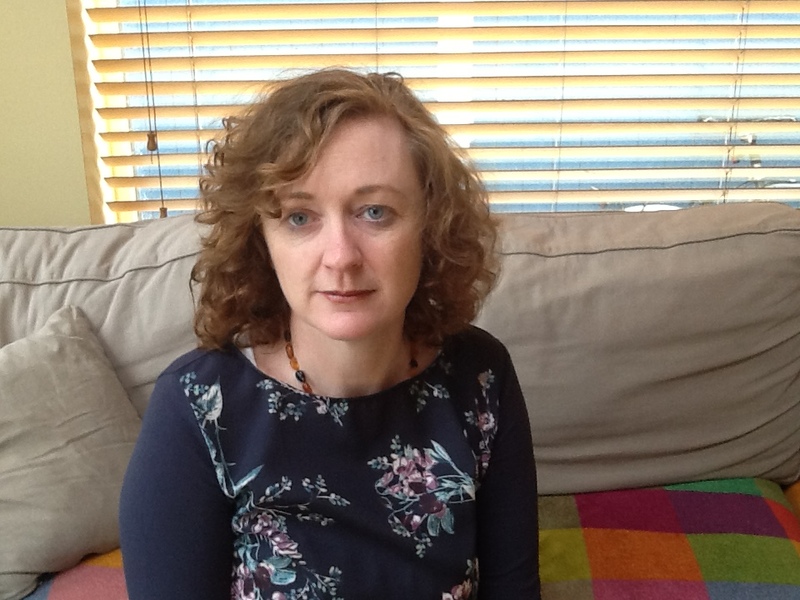 Elaine spoke to HerFamily about living with the condition, parenting while experiencing chronic pain, and what she would like Health Minister Simon Harris to know. I was thirty-nine years of age was I was diagnosed with arthritis. It was a real shock, not what I was expecting at all. I had a rash and night sweats. I thought it was just a virus. I was diagnosed with Adult-onset Still’s disease, a rare type of inflammatory arthritis that is similar to rheumatoid arthritis. It shares characteristics of childhood arthritis, but it begins in adulthood. Inflammation may affect a few joints at first but may advance to include more joints over time which mine has. I was so angry, so, so angry when I was first diagnosed. Why me? What did I do to deserve this? It couldn’t be true. It couldn’t be real. They must have got it wrong. But they hadn’t, it was true, and I had to find a way to cope. So, I did. I went to counselling, and I talked it through. It allowed me to deal with it – rationalise it in my head so I could accept it and make the most of my life. I try now to stay as positive as I can. I have to for my family. At the moment, I’m on a waiting list for a double-hip replacement. My other joints I can manage, but my hips are a lost cause. I can barely walk, I find it hard to sit, drive or do anything normal. I’m in agony all the time. It’s chronic pain, twenty-four-seven, and no matter what medication or steroid injections I take, nothing gives me relief. So, I was referred for a double-hip replacement last February. I’ve been told I could be on the list for up to two-years. I have two young boys, Ben is eight and Conor is five. It’s hard, sometimes I feel like a failure as a mother. It feels like I’m all the time saying no to them, I can’t do this and I can’t do that. As a mother, you’re meant to be wonder woman. And I know it isn’t in my control but sometimes those thoughts creep in. They are my life. I’d do anything for them, without them I don’t know where I would be. They’re so loving, they have so much love to give. Sometimes, they ask me what can they do – and I say to them “all I want is a hug” and it is better than any medication on the market. Children are a great distraction! They make me focus on things other than my arthritis. Without my children I know I would be on the couch, in my pyjamas giving up on life. They are what I get up for everyday. I have to stay as positive as I can for them and my husband. They are full of love and energy; they give me hope and determination. I must keep fighting on for them, not just for me. They deserve a mother and wife who is there full time, who can look after them and give them everything they need and deserve. I have the best husband in the world. I’m truly blessed. But we are all human! He gets the short-end of the stick sometimes. I just can’t help it. I’m in pain, I’m tired, I’m frustrated, and he is there to bear the brunt of it. They always say you take things out on the people closest to you and it’s true. But we work well together as a team, we know each other well, and it works. My close friends and family are very good to me, they understand. They get to see the real side of me and the arthritis. But we are all guilty of only showing people what we want them to see. The parents at the school-yard all think I’m fine. I often hear “Sure aren’t you grand, you’re walking around and everything.” A smile and nod hides a lot of pain and misery. Arthritis is invisible, it is not like a broken arm – it’s hidden. So, it is hard for people to understand the chronic pain I am constantly in. How hard it is for me to do the simple things like pick something off the ground. If something falls at home, I have to get a chair to try and reach it or more often than not I kick it out of the way and let my husband or one of the children pick it up later. My husband returned to college, so I am the main bread winner. I do have a medical card, so I don’t have that burden. But there are so many other costs that people don’t know about. My physiotherapist wanted me to join a leisure club and go swimming, to build myself up and give me relief, that’s a cost. I can’t buy cheap and cheerful anymore – the shoes from Penny’s don’t have the support I need. All these extra-costs add up. Being sick is expensive. The operation will cost €8,200, but it is money we just don’t have. And if I was to go privately there may be a complication, then who knows what the final cost would be. It’s a financial chance we just can’t take. I have a fantastic employer. They never question me or put any pressure on me. They never make me feel worse about my disease which is so important when you are sick, to have that security and reassurance. I work in the Marian Pharmacy in Ballyphenane, and being a pharmacy, they understand sickness. But they don’t have to be so generous and they are, it means the world to me. I hear horror stories of how others are treated, and I know how blessed I am to work there. I have no quality of life, I exist. The simple things are mammoth tasks for me. I am only forty-two years old, and I feel like a ninety-year-old woman. My life is passing me by, and there is nothing I can do about it. I feel so helpless. The pain is horrific, and I can’t do anything about it. I have to put up with it until the HSEdecide I am important enough to be operated on. How can they stand-by and do this to people? Waiting list, after waiting list. We aren’t numbers. We are real people with real lives. Arthritis Ireland are a great support. I attended one of their Living Well with Arthritis self-management courses a few years back and it helped me no end. It gave me back my confidence. I no longer felt I couldn’t do things, I saw a light. And I made friends from the course that have been brilliant, someone you can ring and chat to, who really understand what it is like to live with arthritis. People need to know that arthritis is not a disease for older people. There are so many people, young people like me, living with arthritis. I have a number of friends who won’t speak about their arthritis, who are too embarrassed. We need to change this, people need to start taking on board that it is not just a few aches and pains and it is not just a part of getting older. It is so much more than that. I’d tell anyone out there who is living with arthritis don’t give up. Your life is your own, make the best of it. To the Health Minister I would say this. Take action. We are fed up of all the talk, all the games. Take the action that is needed to address this problem once and for all. We don’t want a knee-jerk reaction. Think of the bigger picture; make this a permanent solution – not a bandage. The media coverage has been great, but we need to keep the pressure on the Government. We can march for our water rights, why can’t we march for our health? People are in despair, in pain and sometimes dying before they get the help they need. The Irish people need to band together and make this a problem that isn’t going to go away, let’s take action. It affects us all. Dublin’s favourite radio station have teamed up with Follow the Camino to take on the challenge of walking the famous last 100kms of the Camino de Santiago to raise funds for Arthritis Ireland. The trip will take place the last week in March and all are welcome to join. Have you ever thought about a walking holiday but not quite sure if you are brave or fit enough? This trip will take you through the lush green landscape of Galicia 20kms at a time. Fund-raisers will only cover a small section a day and will be in a group of like-minded and supportive people all there for the right reasons and with good intentions. The trip from Sarria to Santiago de Compostela in the northwest corner of Spain is a magical one to tick off the bucket list. The Camino is a special place where people have been walking for over 1,000 years. People take the pilgrimage for many reasons. Some to find the answers to what they are doing with their life or find the courage to make a change, some walk for inspiration or self-development, others for adventure or fitness. It is said that you start to walk the Camino for one reason and by the time you finish you have figured out the real reason you needed to. Galicia itself is one of the most beautiful parts of Spain. It is covered in rich green forests, soft rolling hills, fields filled with sunflowers on of course vineyards, lots of vineyards. The Camino is also one of the rare places where wine can be cheaper than water so after a long day’s walking there nothing like sitting down to a huge meal and a well deserved glass of the local vino. The good thing about a walking holiday in Galicia is as, the food is so delicious you can eat as much as you like completely guilt free in the knowledge that you are walking it all right back off. Indulge in tapas and pintxos to your heart’s content, it would be a mortal sin to walk the Camino and not sample the local, fresh produce. Galicians love the freshest of food so much so, that some of the accommodation you stay in actually grow their own vegetables and cook them for your right out of the ground. One of the most iconic foods along the Camino de Santiago is Pulpo or octopus. It doesn’t matter weather you like it or now. It’s a must try. No Camino de Santiago experience is complete without the obligatory taste of Pulpo. You’ll see it everywhere you go, especially in a small town call Melide just out Santiago de Compostela. Melide is famous for the best Pulpo in the whole of Galicia so most pilgrims wait until they arrive there to taste the Pulpo. The best way to describe the taste is that it’s similar to Calamari but, without the batter on the outside. One of the most memorable things about walking the Camino de Santiago is the other pilgrims. You’ll find yourself fall in to step with many of the same people every day and actually build up quite the friendship. Remember everyone is walking this famous way for their own reasons, some very deep and profound. You’ll be inspired by the many stories you hear from your fellow pilgrims and become completely engrossed in the stories they’ll share with you over a coffee break or even strolling along together. Walking the Camino is an enlightening experience so don’t be surprised if you come home a bigger person, bigger as in self growth. You’ll find yourself to be more open-minded, more creative or more patient. There’s a reason people have been walking the Camino for over a millennium. Go there, learn the reason. Find out for yourself.